Above all, you must protect your head. One good blow to the head can put you out of commission for a long time or forever! To date, there have been at least three confirmed cases of MMA deaths from head injuries. The first was Douglas Dedge who took more than 15 punches to his head before dying from head trauma in March of 1998. MMA fighters Robert Kirkham and Sam Vasquez died from head injuries as well. When a professional MMA fighters hit a fellow fighter with speed and power, it is equivalent to being smack with a block of wood. It can be painful and deadly. The human brain is very complex. When an external force, such as a punch, injures the brain, it causes TBI, traumatic brain injury. TBI can be moderate to severe and can be temporary or permanent. Even a knockout is considered to be a traumatic brain injury and can be very damaging. Use your head protect yourself from head and brain injuries! It just makes good sense to do so and we have great products at affordable prices to help you. 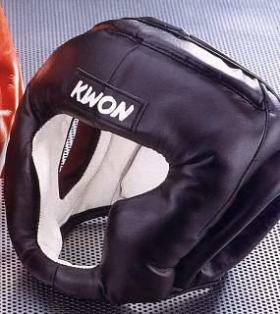 This head protector is from Kwon so it is made of great quality and is affordable as well. Recommended for all types of full contact, it is extremely tough and features a cheek and chin protector in addition to head protection. It is comfortable and easy to adjust and has a hook and loop closure on the top. These head protectors are constructed on a non-fading light colored velour leather and is available in small/medium and large/extra large. 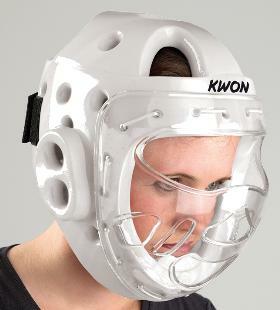 If you hate sporting a black eye, you will love these head protector. It not only offers durable protection to your head, chin, jaw, ears and temples but reduces your risk of a black eye as well. Attached by hook and loop fasteners, the face grille can be easily removed and is excellent for training in self defense, nanchaku, escrima and tonfa. The guard features a vinyl upper and is available with additional protective padding over the top of the head. It is black in color and comes in small, medium and large. 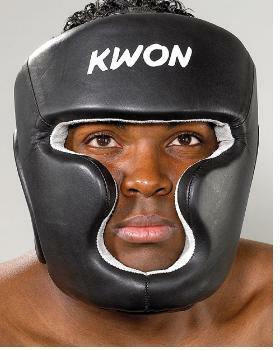 This durable head protectors by Kwon will give you maximum protection as it covers your chin, jaw, ears and temples and also reduces the risk of a black eye. In addition, this guard is available with a protective pad over the top of the head. It features a vinyl upper and a removable face grille that is attached by hook and loop fasteners that can be put on quickly and easily removed. Available in black, the Blackline Head Guard comes in sizes small through extra large. This is a great product by Kwon. 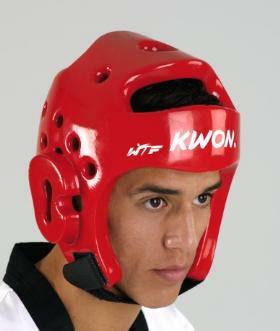 It is compatible with Kwon Sports Head Guards #40065, 40066, 40073 and 40068. It is constructed of a durable acrylic material so it withstands even the hardest punches. One size fits all in this one. 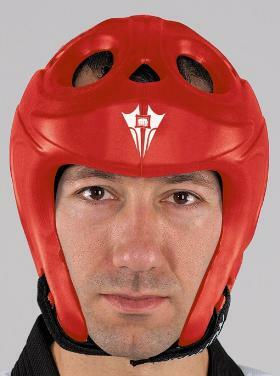 I like this product for a lightweight head guard. It is 7/8 thick but durable and made of dipped foam so it absorbs shocks great. 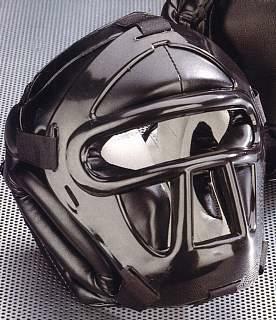 It features the classic head guard design with the hook and loop fastener and has excellent ventilation. The pressure holes in the ear pockets are quite helpful too. The PRO head guard is WTF recognized, comes in black, red, white and blue and is available in sizes small through extra large. This head guard is designed special for Kali stick fighting because it features a face cage and also extra foam padding on the front, sides and back of the neck. It looks great too as it is made of genuine leather and even the ears are made of leather too. It comes in black and is available in sizes small/medium and large/extra large. Made of very lightweight EVA foam material, this head guard weighs less that 9 oz. which is about half the weight of most others that have molded and preformed head guards. It absorbs force great and has even been tested intensely for the past two years at several Kickboxing and Taekwondo clubs. It is one of the best on the market with excellent protection and comfort as well. 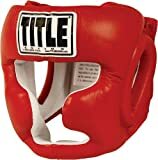 This head guard has the easily adjustable hook and loop closure on the back of the head and is highly recommended for amateur Kickboxing and Taekwondo as well as other MMA styles. Available in black, red and white, it comes in sizes small/medium, large/extra large and extra large plus. Another fantastic Kwon product, this fine head guard is made of lightweight dipped foam material that repels sweat right off of you. It features an elastic hook and loop closure which is located at the back of the head. A clear acrylic face mask provides excellent peripheral vision. It is available in black or white and comes in sizes small through extra large. This head guard is one of Kwons finest. The tough vinyl construction provides for great durability, protecting the chin, jaw, ears and temple and conveniently fastens in the back. Ths head guard has the maximum in safety protection for the top, sides and back of your head and has a vinyl upper with fasteners on the top and back of the head which guarantees the most secure fit. 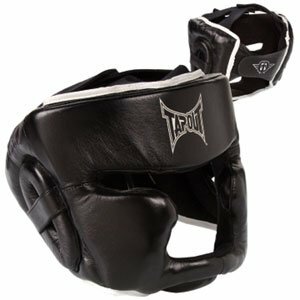 Available in small, medium and large, the head guard comes in black.